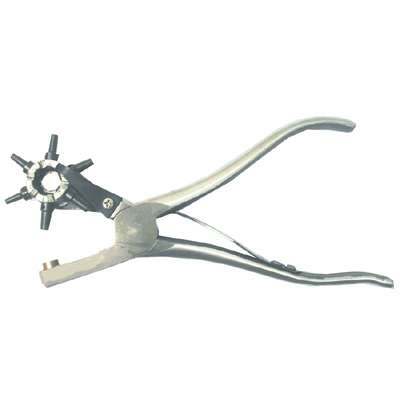 This leather punch is made of forged metal which was hardened and compressed to a small size making this the most durable Leather Punch worldwide. All of the Drop Forged Deluxe Leather Punchs that we offer are high-quality horse products. Composed of Harden Steel to make sure the Punch maintains its shape. This particular Deluxe Leather Punch is made of forged metal and will provide maximum durability even when used on a daily basis. Extra punches available at $6.00 for set of 6.